What’s your story? At Dental Design of Rockland, we’re listening! Welcome to our practice. We provide individualized, complete dental care in a compassionate environment. We accomplish this by first carefully listening to our patients. Every patient is unique and we take the time to understand each individual’s goals and preferences. Our team will work tirelessly to provide you with dental care that is customized to suit your needs. Whatever your dental condition or needs may be, Dr. Barbara Ollech and her team will listen without judgment. Together, we will design a plan that makes sense for you. The relationships we build with our patients allow us to provide the best possible care and to be there to help maintain it. We offer state of the art dental technology and techniques delivered gently with a focus on your comfort. No matter what treatment you or your loved ones need, you can feel confident that it will be comfortable and effective. We hope you’ll be the next patient to join our dental community and share your story with us. Let us help you create your happily ever after! Turn the page to a new chapter of optimal dental health. Contact us at Dental Design of Rockland to schedule your appointment! Once upon a time, the flaws in your smile were wreaking havoc on your self-esteem. Not anymore! Come speak with Dr. Ollech about our cosmetic dentistry options. We can provide our patients with porcelain veneers, Invisalign braces, tooth colored fillings, and more. With your vision and Dr. Ollech’s artistic eye, you can work together to achieve your goals and create your smile’s happy ending. Your family deserves nothing less than a magical dental experience. Dr. Ollech and her team make families feel at home while they improve each patient’s oral health and overall appearance. After a cleaning, exam, or general treatment, you’ll walk away with a stronger and happier smile. 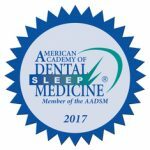 TMJ disorder and sleep apnea are health complications that can affect your mood, productivity, and safety. At Dental Design of Rockland, we provide cutting edge cures to relieve you from the effects of these disorders. You can conquer TMJ or sleep apnea with proper diagnosis, oral appliances, and Botox therapy. Listening and making sure our patients feel comfortable is our top priority. If dental anxiety has kept you from getting the treatment you need in the past, our sedation dentistry services can help you improve your oral health for the future. Sedation dentistry will allow you to relax throughout any procedure and enjoy your time with us. My six year old daughter, Jenny, was always terrified to go to the dentist. Every time we went she would cry and refuse to open her mouth no matter how much we coaxed and tried to bribe her. The dentist wanted to put her in a restraining device called a papoose but I couldn’t bring myself to let him do it. Dr. Ollech’s office is near where I sometimes get lunch so I went in and asked if they see kids. I thought maybe Jenny would do better with a woman. From my first conversation with Vivian, I knew things would be better. I explained what was going on and she told me that Dr. Ollech sees lots of kids and that many of them start out scared like Jenny. When Jenny went to see Dr. Ollech for the first time she came out to the waiting room herself and brought us inside. We did not have to wait at all so Jenny had no time to get nervous. Dr. Ollech let me come in the room and Jenny sat on my lap for a ride on the chair and a “practice visit”. Dr. Ollech explained everything before she did it and spoke right to Jenny. I saw her start to trust Dr. Ollech. We went back for a checkup and then for a filling. Jenny was happy through it all and now she brushes her teeth without even being reminded. Dr. Ollech and her whole staff were a godsend! A few years ago I had a negative experience with a new dentist I had started to see after moving out of the area. After having two cavities filled, I was experiencing extreme discomfort. The fillings were sensitive and I started developing constant headaches, including severe ones in the middle of the night. After hearing about my symptoms and examining me, Dr. Ollech identified my problem: an uneven bit that had caused tension and muscle spasms in my jaw muscles. Over a series of a few visits, Dr. Ollech made sure my bite was correct, and worked with me to calm the muscle spasms that were causing my headaches. She did a wonderful job with trying a few different approaches. When one attempt lessened the headaches, but did not eliminate them entirely, she suggested something else until we found something that worked. Finally, through a series of adjustments, medications, and devices, I was back to normal! It was amazing to be pain-free after three months of suffering. Dr. Ollech did an excellent job explaining exactly what was causing my problems and how she was going to correct them. She worked with me to ensure that I was getting the results I wanted. I was quite desperate for some relief when I went back to her, and I’m thrilled that I did!